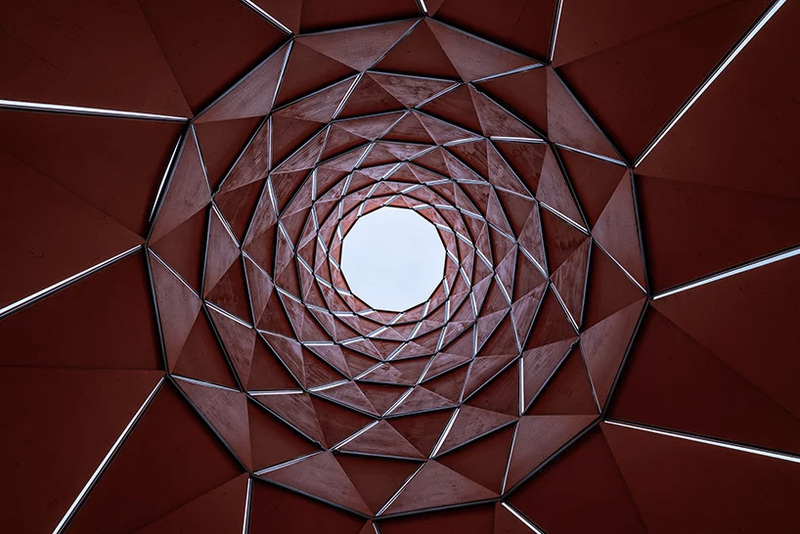 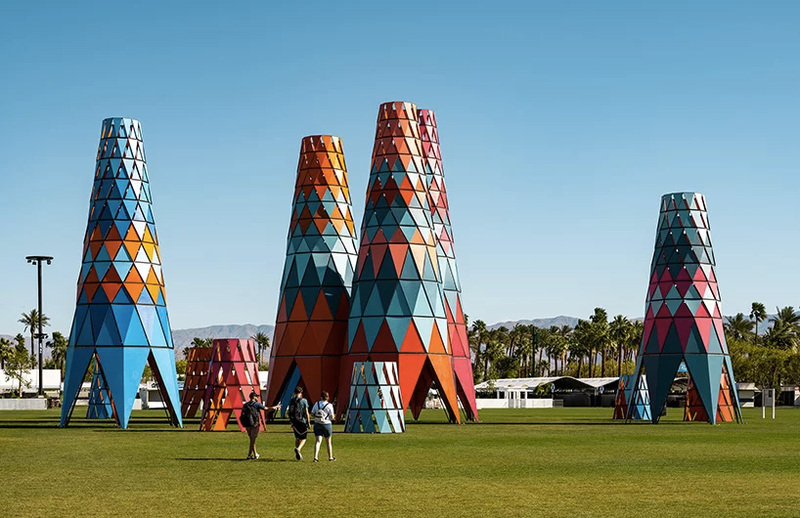 Architect Francis Kéré has designed a ‘forest’ of brightly coloured shelters at desert arts and music festival Coachella, inspired by the baobab tree. 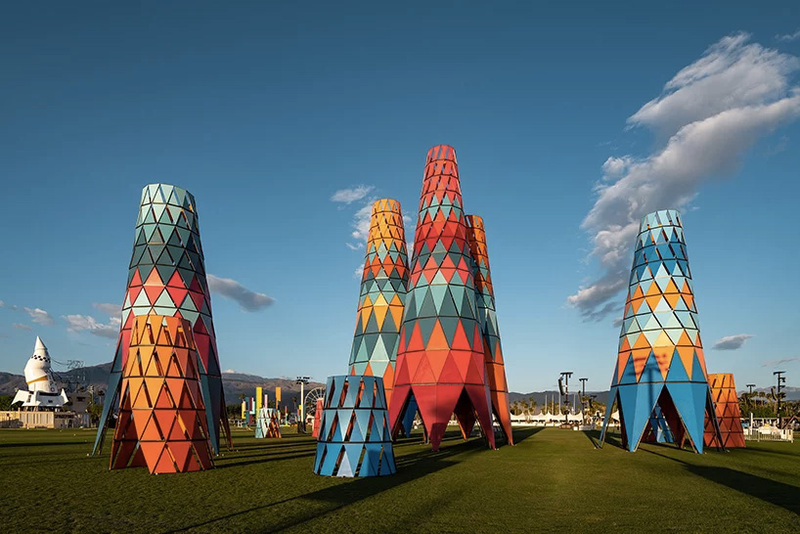 Some of the 12 conical structures, dubbed Sarbalé ke, are up to 60-ft-tall. 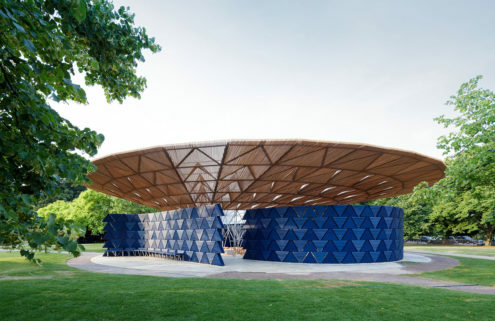 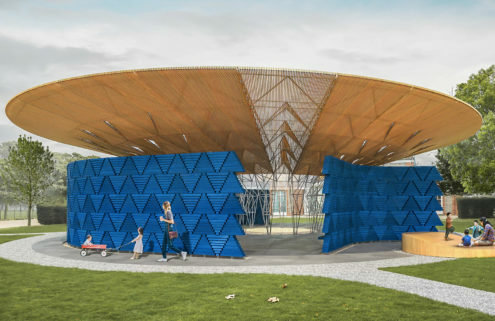 The pavilions act as landmarks for festival-goers, as well as providing social space and shade – a function shared by the baobab, which is native to Kéré’s home country of Burkina Faso. 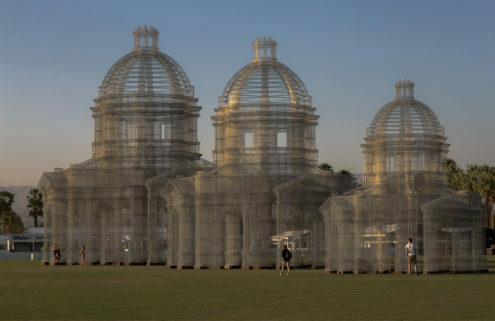 Coachella Valley Music and Arts Festival is celebrating its 20th anniversary in California.